I am aware that it is my responsibility to make sure this item is legal in my state and local area before purchase. 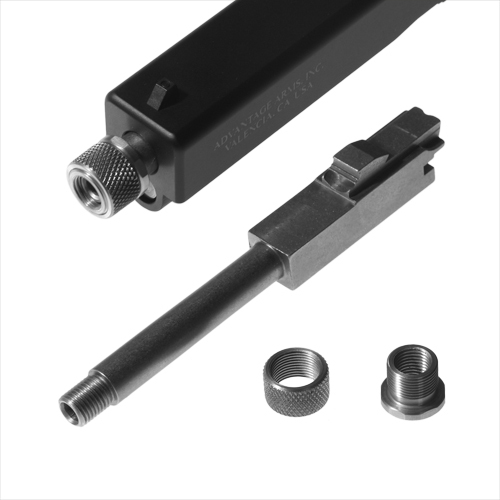 We offer an extended threaded barrel for the 17-22, 19-23, 20-21 and 26-27 kits. Our threaded barrels are approximately 1/2" longer than our standard barrel. Comes with adaptor and �-28 thread protector.